Here are the 3 Must-Have Deadline Tricks. I call them Tricks because they help turn dreams into reality. These Deadline Tricks work not only for writers but for anyone tackling major projects. Setting the Deadline is the first procedure that anyone starting a project must determine. Every project has a deadline. For indie writers, their novels and stories and blogs could be due . . . whenever. But “whenever” is NOT thinking like a pro. Pro professionals, pro artists, pro athletes: all know when their project deadline is. For the professional, the deadline is the day the case starts or the client arrives. The pro artist anticipates the gallery preparation. Pro athletes train for the first day of training camp which comes long before the start of the official pre-season games which lead to the real season, and all of those lead to the Bowl Games and Major Tournaments that culminate an athletic season. And then, gallery showing and seasons over, case done, projects complete, everyone looks at the next project. For indie writers who want to go pro, publication is the deadline. Publication is not a nebulous dream. We’re turning dreams into reality. The time for drifting and dreaming is over. We have determination, and determination means we set deadlines. Your Work Routine means how much you can reasonably accomplish when all works well. Key Words: “When all works well”. This is not “when everything’s going great”. Determine a basic meet-able goal. For writers, this is an achievable word count. For athletes, the number of hours that can be devoted to training on each day. Even artists consider the amount of work on a canvas that can be achieved over a course of days. Lawyers consider the time needed for preparation of the upcoming case: witness statements, interviews, official depositions, law research, scene mapping, and on and on. Note Well: In the examples above, all of the goals are TIME-BASED. Your reasonable writing goal is not a sprint, not a squeezed-in segment. If you had an uninterrupted hour, how many words can you reasonably churn out? How many hours can you reasonably work each day? How many days per week do you lose to other, more pressing concerns? Do the Math: What is the word count for your project? For writers, novels and novellas and short stories and scripts and blogs, all these have specific word counts. Genres have specific word counts. Are you writing an epic fantasy of 120K? Are you writing a romantic comedy of 45,000K? When you know what you need to write, you have your first working number. Just like any project, writing has a lot of hidden steps that outsiders-looking-in never see. Writing is much more than pouring the words onto the page. Novels, especially, are very involved and very messy projects. Prep-time to set up the necessary background information. Planning at the Mid-Point . . . because “life” happens even in stories and blogs. Characters change. The plot falls apart. Your mind throws you a twist that improves everything you’re doing. Revising. Oh, BTW, will you revise as you go or revise at the end? Both? Getting everything ready for publication … the “yippee” step. Get out a calendar. A physical calendar, not a digital one. Don’t have one? Print one. Draw one. You may be totally digital. I like digital. Yet blocking out a calendar is best done, however, on paper. Trust me on this one. That small screen hides things and hides the big picture. A deadline is “big picture”. It’s like depending on a small-screen map-app vs. seeing a plat of the roads you will actually drive. Map-apps are convenient, but it’s easy to get lost unless you are a complete robot. Not that I’m prejudiced against robots. That calendar, in your hands, creates a mental process that begins a brain change. When we’re moving from drifting dream to determined reality, brain changes are necessary. Start blocking off days to create your deadlines. This many days for Factors 1 to 3. So many for Factors 4 and 5. Start running the Word Count Days. 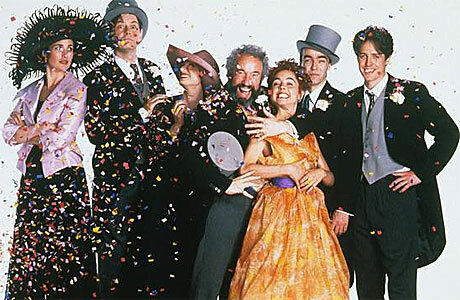 Give yourself two handfuls of days to fall behind for unforeseen circumstances: like the flu, like a car breaking-down, like a friend coming to visit, like four weddings and a funeral. Remember: “life” happens. How many days for Factor 5? How many days for 6? Expect problems. Factor for Editing, #7. How many times? How many people? OMG, how many interruptions? And definitely be a Pro here: if you ship out your editing, what will you work on while you’re waiting for the manuscript to return home? Factor for 8. The blurb is extremely important. It’s more important than your first chapter. How many days did you set aside for the first chapter? Schedule that number of day for your blurb. While you’re working on and re-working on and revising your blurb, take a break from words to consider what you want the cover elements to be. When you have all of these days on your calendar, you can start. You can start before you have these days on your calendar. You can never write these steps down. But–big BUT–I betcha have a mental deadline that the analytical side of your brain throws at you. Want to know more about Deadlines, their importance, and how to set them? Read Think like a Pro. BTW, “New Advent” means a New Year, a New Opportunity, a New Way of Viewing the World. Have a New Advent for Writing.